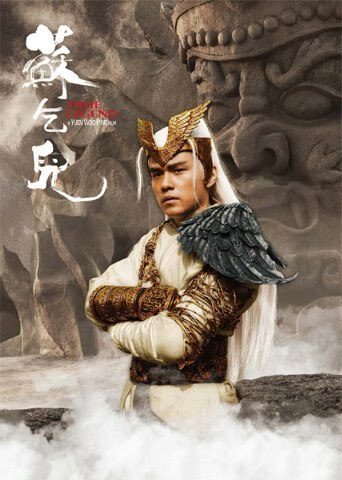 Zhao Wen Zhou ( Vincent Zhao) returns to film after a eight year break,though he has been making TV series for the past ten years. For me it's a welcome return as i was always impressed by him and i should be as he was once part of China's Wushu team. 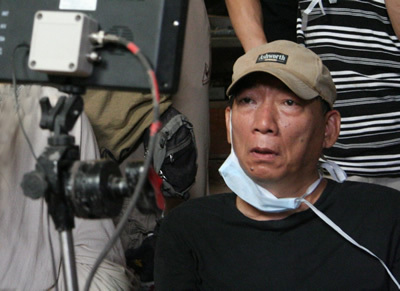 Another return is Yuen Woo Ping in the directors chair which also sends excitement up my spine.Then add to this the content the film is based on and we possibly have a match made in heaven. So the film starts with Zhao who plays a general Su Can in the military ,the film opens up with Su storming a enemies stronghold to free a prince.Now all this happens in the first ten minutes in a blistering display of martial arts and Yuen Woo Pings wire fu ,which he can only pull off like this. Now the prince promises Su that he get the Emperor to make him Governor of Hei Bi.He is accordingly offered this ,but refuses as begs the emperor to make his Brother Yuan Lie ( Andy On) Governor,the Emperor is reluctant as he thinks he's risky,but as Su wants to return home and study martial arts to perfect his art the Emperor agrees . Now five years pass Su has returned home and married his Love Ying who is also yuan Lie's sister,they also have a son named Feng.Now when he hears that Yuan will be returning home Su's father (played by legend Leung Kar Yan) is suspicious as Yuan and Su are only brothers by a bond of being brought up together.You see Su's father had killed Yuan and Yings Father as he got so possessed with martial arts he perfected a deadly art called Five Venom fists which turns people to pure evil. Su say's he won't bear any resentment and is coming to spend some quality time with family . Unfortunately Su's sentiments could not be further from the truth Yuan arrives with his entourage and army and his two elite bodyguards .After greeting his father ,sister and his nephew he chats with his father saying that he can not forget what he did to his real father ,in a flash Yuan unleashes his fists and a duel takes place ,but Su's father is no match for Yuan and his five Venom fists .The battle lasts a while with both combatants unleashing blows that can kill,but in the end Yuan defeats him and takes his head off. Now Su is training in town and when he is notified he rushes back to find all his clan annihilated and Yuan has taken his sister and nephew ,when Su arrives he is met by by Yuan's assassins ,in a duel to inspire you to take up the arts with flourishes of fists and feet aided by a fur-fore of weapons.Su eventually reaches Yuan and fight they do which ends in Su being badly wounded by Yuan by being infected by his venom fists. But as he is about kill him he spares him as pleas from his nephew stop him,but this does not stop him from dropping him into the rushing river which lay beneath them . This in turn results in Ying jumping to save Su and young Feng at the mercy of his uncle. 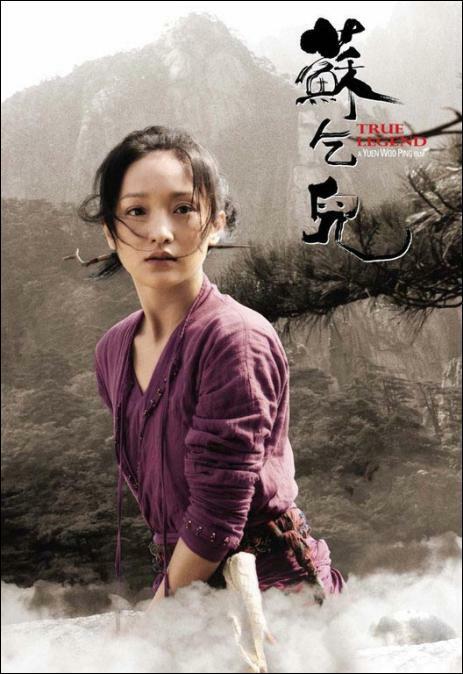 Within the river Ying manages to reach Su and they clamber to driftwood,clambering to land Ying drags Su in a makeshift slay ,when all seems lost they are saved by a young woman ''Dr Yu'' who is a herbal doctor and acupuncturist.Re-leaving the venom from Su's blood over time,Ying stays by his side and aids Dr,Yu by making wine to sell in town .As he regains well being Su turns to drink as he feels he has failed his family .It's only when Ying convinces him that he has never given up they he starts to train again and repair his broken limbs.But as he drinks more and trains more he gets more and more obsessed until he see's two figures in the trees .He chases them to be confronted by A old man and a young one all in white.Claiming to be the Drunken God and The Old Sage they ridicule him and he claims he will beat them . 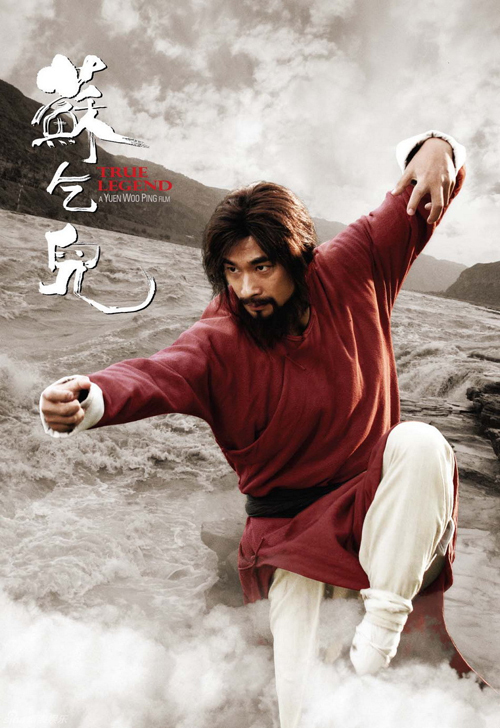 Every day he goes of to train with the two men while Ying stays behind to make wine.Now Dr,Yu tells Ying that Su is going crazy and must stop training,unconvinced by this she follows him one day only to discover that he is with no one and is beating himself with rocks and throwing himself off mountains . Now Ying confronts Su about this as she had hoped he would free their son.In a bid to redeem her son she leaves while Su is off training ,leaving him a note to say she is off to save their son as she feels he is incapable to do so.Now Su is in confrontation with his gods (that are in his mind we now know) .This does not matter when in a flash of enlightenment he beats his illusionary trainers,heads back to Ying only to discover the note .He rushes to save her . Now Ying has arrived at Yuans residence to redeem her son who has been kept in shackles since he was left.The poor boy has witnessed the brutality of his evil Uncle as he trains in five venom fists ,torturing people and dispatching them.When Yuan see's she is still alive he believes they can be a family once more ,but all Ying wants is to leave with Feng.Claiming that Su is still alive but gone crazy and has no fighting ability any more. But just as she explains this a heroic Su rushes in with a zest in his fighting not seen before ,as he kicks and flips slicing through his foes Yuan gets his guards to take Ying and bury her in the forest ,then if he dies so shall she. Feng cries to stop them but to no avail ,Su reaches Yuan and what takes place is a tour de-force of classic Kung Fu that i have not seen since the days of Drunken Master 2 / Burning Paradise or Once upon a time in China.This is a showcase fight that will have you sitting up and on the edge of your seat.As Su counters Yuan's Venom fists as they entwine with one another in a show of classic wushu to eagle claw and the deadly venom strikes. 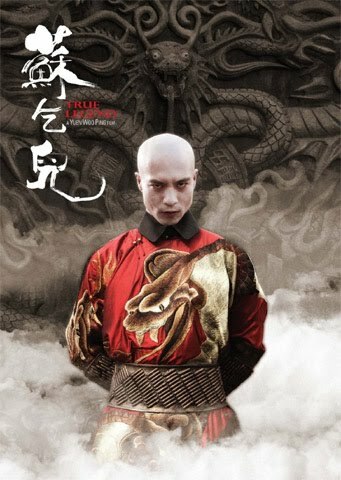 In the end Su's rage is so fierce that he is supreme and fails to hear the cries of his son to not kill uncle Yuan as he is the only one to know the whereabouts of Ying,who is buried and running out of air.But as they leave one dieing soldier takes time to reveal the whereabouts but rushing to save her they are just to late and Ying lays dead in Su's arms as Feng cries in-despair. NOW our hero has lost his wife but regained his son and got the revenge of his fathers death.But without Ying, Su or So Hat-Yi as he is also known becomes a beggar and drunk roaming the streets with his son in tow.Begging for food and sleeping ruff.But so happens a old friend from his army days who his the head of the Chinese wushu society and respected gentlemen in the area they are staying,the guy in question is a comrade named Ma who Su gave his sword to when he left the army. Now Ma is asked to fight in a competition that is being held against western fighters and wrestlers ,Now the bouts are cruel and Chinese are being killed by multiple attackers and the man behind it is a Western man called Anthony ( David Carradine). So when Ma is asked to prove the the power of wushu he obliges,the day before he comes across a beggar and his son,he gives the boy some money for food,later that night he is called to help at a local restaurant where a beggar man has gone crazy drinking all the wine and fighting everyone off.Amidst this turbulence the beggar who is Su of course has a fight with a mysterious character that fights him using Drunken Boxing,of course it's all a play on the mind of Su who is in fact fighting no one but himself ,but in that discovers the true meaning of wushu and it's Drunken form. When Ma arrives and discovers it is Su his old general from the army who gave him his sword he tries to help ,but Su is depressed and still saddened by Yings death,Su relinquishes Feng in to the trust of Ma who agrees to take care of the boy,but in the end Feng can not leave his father as a promise made to his mother to keep the family together. The following day Ma is about to enter the tournament against the blood thirsty westerners when outside are Su and Feng ,Su smiles at Ma and asks him to get them inside ,with which he agrees. Once inside Battles are in progress on the ring which is a raised platform with Tigers in a Pitt below.Fighters from the Chinese community are being dispatched left ,right and center.Now it's Ma's turn and he is in for a tough fight ,as the large and towering wrestler lunges at Ma he displays a fluid and devastating array of wushu ,but even after some time he can not overcome his aggressors size and violence .Amidst the fight Feng is shouting for the fight to stop as Ma could be Killed ,rushing in to the ring Feng is lifted by a wrestler who is about to punch the poor boy ,to sounds of his cries for help Su ,who is drinking of course hears this and dashes to his sons rescue flying across a group of Viewers lands a punch so hard it nearly takes the wrestlers head of. Now enraged and Drunken in a stoop-er he unleashes punch after punch and kick after kick to the westerners body in result knocking him to the floor ,as more wrestlers arrive in two's and three's Su displays a level of Drunken wushu not seen since the golden days of Hong Kong cinema ,with speed and precision he fights to the end smashing one opponent after another to the dismay of the audience and Anthony who has steeped so low as to drug his fighters so they feel no pain.But in the end Su or So Hat-Yi as he calls himself is victorious,all he has to do is stand up as he to is on his back ,but is he just drunk or out cold ,as his son cries for him to get up ,in his mind he sees Ying and she tells him she will always be with him ,at this point he raises to the rejoice of the crowd. He came in a beggar but leaves the King of Beggars for So is Beggar So and this is his story. Conclusion - I can not express why this is such a great film in a few words and why ,your have to read the content below ,but for Now . 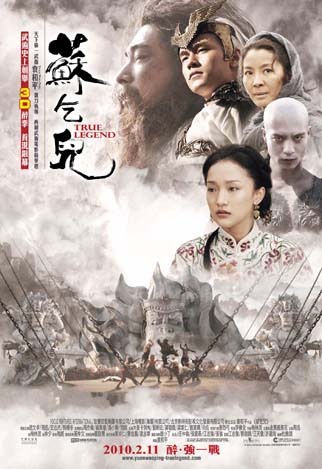 Why is True Legend a legendary film ? There have been many films about Drunken Boxing ,and in the past year we have seen two which feature the art ( Ong Bak 2 and Raging Phoenix) both these films have scenes about drunken boxing in Ong Bak 2 Tony Jaa displays a form of Drunken Kung Fu to dispatch some foes,but for me it was not as classic as other forms i have seen and wished he had not done so.In Raging Phoenix Jija Yanin's take on Drunken boxing comprised of a bit of Hip Hop break dancing which gave it a new twist and was enjoyable but still not what i would call Drunken Boxing or Drunken Fist . 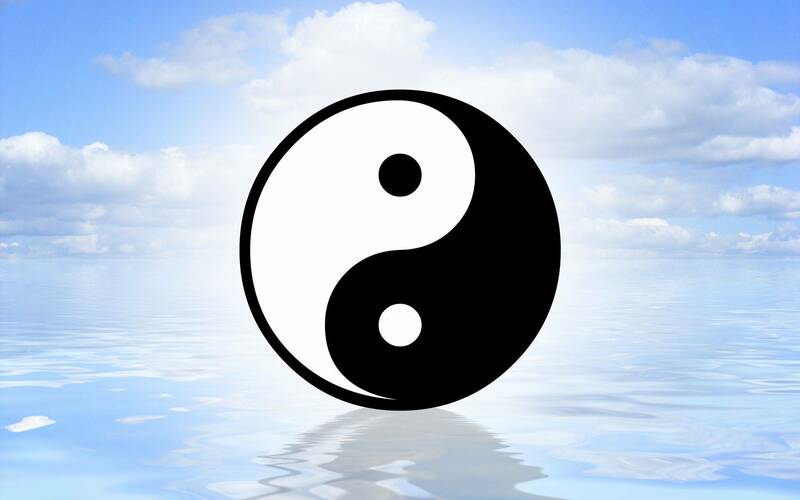 As we know the pioneers of this was the Shaolin Monks and the Chinese Wushu fighters who took it to a level of perfection ,then there were the Peking Opera schools that specialized in this type of Kung Fu. We all know the legend of Beggar So (or you do now) he was a legendary fighter who roamed China ,he was also one of the Canton Tigers . Now add to this that the character was made famous by Yuen Siu Tien or Simon Yuen as he was known ,who was he? well for one he played the beggar in Jackie Chan's Drunken Master for one and it's semi prequel Snake in Eagles Shadow in which Simon Yuen played a similar character .Now it was Ng See Yuen's idea to cast Simon Yuen as the old wandering eccentric kung fu master,of course Yuen Woo Ping the director of both films in question agreed (Simon Yuen was his Father). So now we have the connection a character made famous by Simon Yuen who taught Jackie Chan's Character (Wong Fei Hung) in Drunken Master. 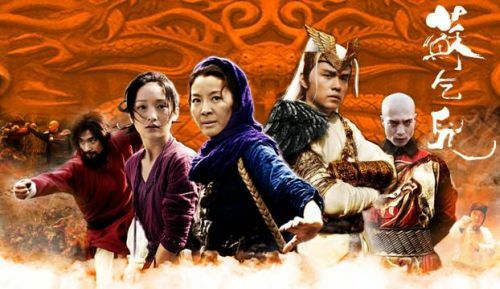 Jackie Chan went on to make Drunken Master 2 ,which portrayed Drunken boxing to perfection and he portrayed the the style again in The Forbidden Kingdom as the Drunken God. Yuen Woo Ping would direct his father again in Dance of the Drunken Mantis where he played the character Beggar So.He was to complete another film as Beggar So with Sammo Hung ''The Magnificent Butcher'' but Simon Yuen Died during production in 1979 and his character was replaced ,hence the film did not do as well as had hoped. 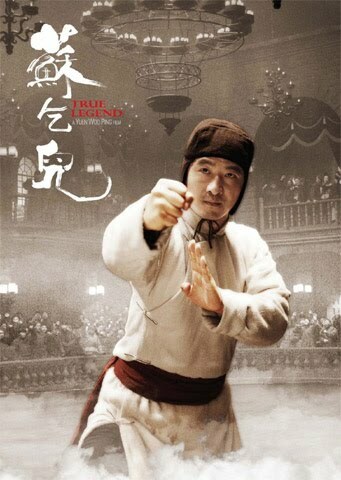 So there we have it ,it all comes full circle Yuen Woo Ping once more directs a film about Drunken Boxing ,a story close to his heart because his father was once the man most famous for the character of Beggar So. 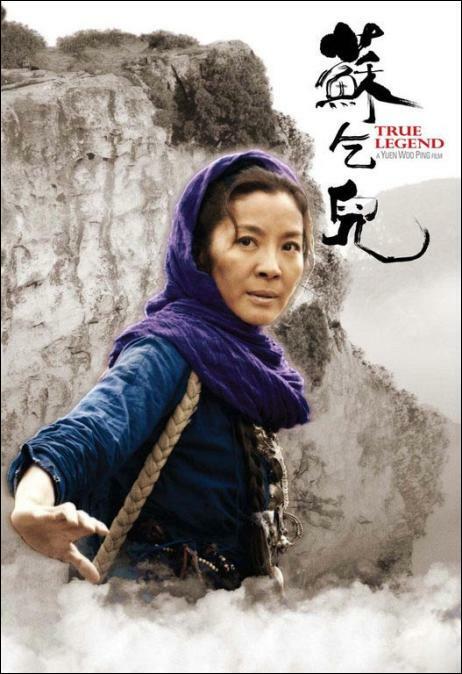 So it is fitting to say that True Legend is a legendary film as it comprises whats been missing from Hong Kong cinema for a while ,'passion'' and there's one thing this film oozes and that's passion from the heart of Yuen Woo Ping and Vincent Zhao who himself is a champion Wushu exponent, and at the age of 37 looks like he could be twenty the way he handles himself on screen. The main theme here though is heritage Simon Yuen was of Peking Opera and had 11 children ,Yuen Woo Ping being one of them ,five of the others were all once involved in the film industry and known as the Yuen Clan.Yuen woo Pings Brother played a Drunken boxing master in another Yuen Woo Ping film this time starring Donnie Yen ''Drunken Tai Chi''. Jackie Chan was of Peking Opera as was Sammo Hung ,they have played a drunken boxing role to great effect , i truly believe only certain people can make Drunken boxing look good on film and most of them i have mentioned here. On another note **This was the last film Actor David Carradine was in as it was during post production of this film that he died in Bangkok.And this film is dedicated to him .Now you may be thinking why was David Carradine cast in a role in such a Chinese film about a famous folk hero ''Don't forget who action directed Kill Bill 1 & 2 which starred David Carradine ! Who ? Yuen Woo Ping of course. I rest my case ,This should go down as one of the best films of the last Ten years. 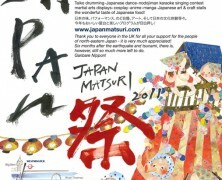 Posters from the films release.